Power reclining sofa with power headrests and USB charging showcases a simple track arm silhouette tailored in stain resistant fabric. 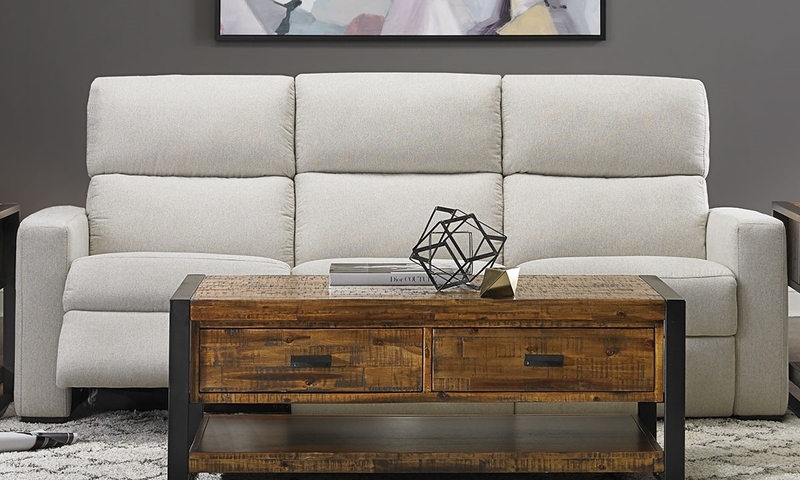 Elevate your living room décor with this sofa from luxury furniture brand Violino. Its simple track arm silhouette is completely upholstered in LiveSmart stain resistant fabric, so its seashell white color will stay effortlessly clean and chic. This sofa’s power reclining ends feature seating topped with a soft down blend, as well as power headrests and built-in USB charging ports.